Our newest team member adds sonic depth to Ideum’s immersive experience design palette. Ideum is pleased to welcome audio designer and sound-artist-in-residence Jason Reinier to our versatile and growing AV Exhibits group. 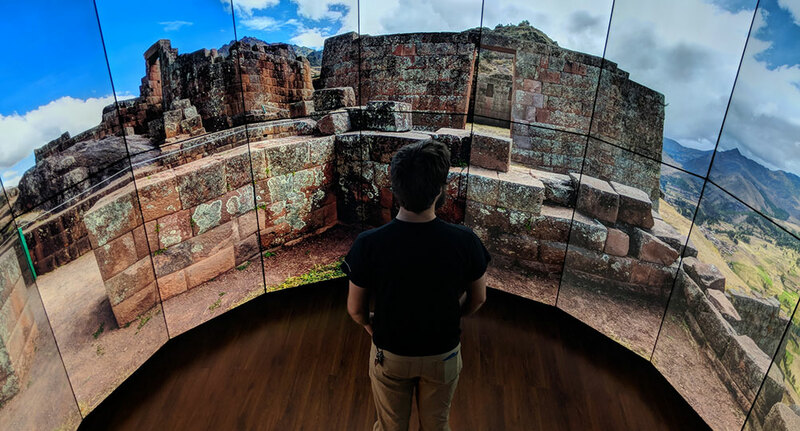 In recent years, our work on large-scale immersive exhibitions has expanded greatly, including a broad range of projects involving multi-sensory experiences. Joining us from San Francisco, Jason is an award-winning sound designer and composer who has created a compelling list of audio environments for museums and other public spaces. Jason graduated from Colorado College with a degree in Music Composition, then stayed on to teach electronic music. 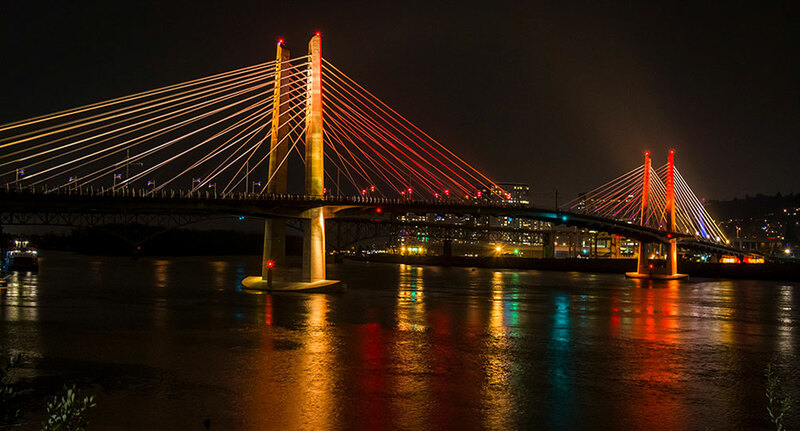 He soon moved on to designing and building increasingly complex and provocative audio installations. Over the past twenty years, Jason has created comprehensive and multifaceted soundscapes for the Exploratorium, the Oakland Museum of California, the Metropolitan Museum of Art, the National Museum of the American Indian, the Peabody Essex Museum, and numerous other institutions. Jason also wove together the diverse recordings making up Day of Sound, a global sonic portrait of a single day, and was an audio artist and Simlish Director for many of Electronic Arts’ paradigm-shifting SIMS games. At the Exploratorium, Jason designed the enveloping soundscape of Frogs, a temporary exhibition simulating a peaceful back porch surrounding the visitor with calls, chirps, and croaks. Actual frog calls were gathered, mixed, and looped to create an 8-track mix of a continuous frog chorus comprised of the distinct calls of different species, with a gentle rain shower in the background. Jason’s evocative sound design was also a fundamental component of the Oakland Museum of California’s Deep Ocean installation. 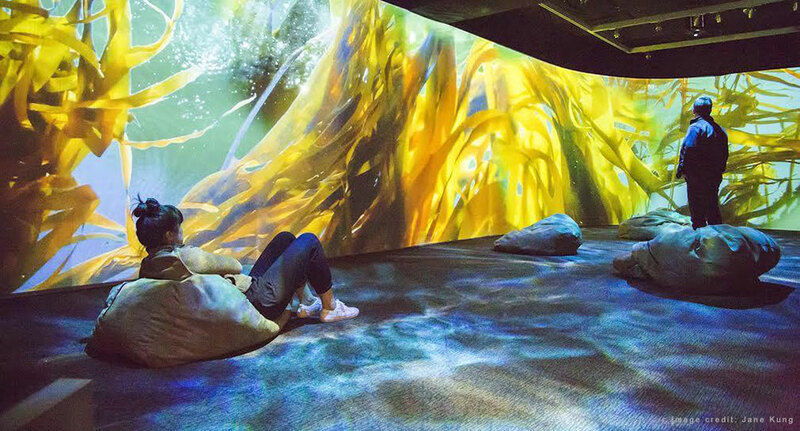 This fully immersive space allowed visitors to take an engrossing underwater journey to a submerged mountain ecosystem off the California coast. Jason created soundprints for different depths to bring out the richness and diversity of this otherworldly environment and its associated ecosystems. Jason’s blend of experiential creativity and technical knowledge adds a new and powerful sonic dimension to Ideum’s growing multidisciplinary experience design team. We look forward to working with him to expand the frontiers of large-scale experience design. Welcome, Jason!